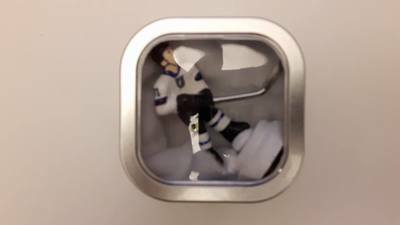 Personalized STIGA NHL tablehockey players are now available! 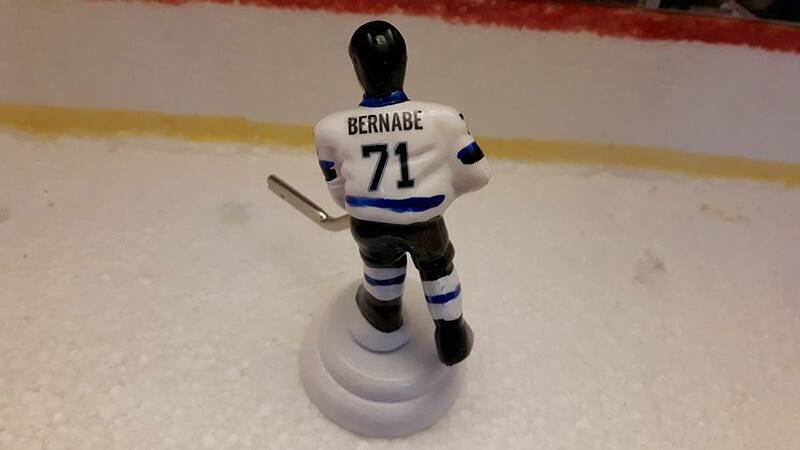 You can have your own name (first or last) along with your birthdate on the back of your very own hand-painted table hockey player of your favourite NHL team for only $35. (including shipping fee.) 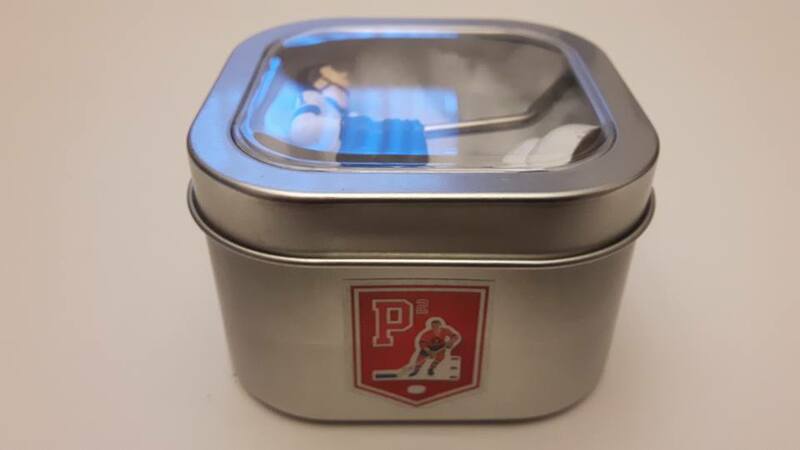 It comes with a removable wooden stand all in a deluxe gift tin perfect for that die-hard hockey fan! 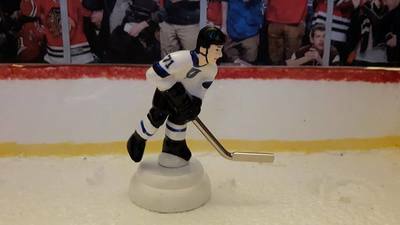 The player can be used on any STIGA table hockey game or it can be displayed on it's own. If you'd like to send me an order, Click Here to Make a Custom Figure Request! Please specify in your request, The NHL team, the name to be placed on the back, the birthdate number to be put on the back and sleeves of the player and the ethnicity of the player. Once the custom request is submitted, an invoice will be sent for the $35 fee by PayPal to be paid upon request. Turnaround of custom requests will be 2 to 4 weeks.